Windows Mail is no longer included in Windows 7 (Not a big deal if you are running Outlook) AND you are able to download the Microsoft Windows Live e-mail program here as an able substitute. The good news is that if you have been using Windows Mail, the upgrade process WILL SAVE all of your current messages and then re-import them into Windows Live Mail when you download and install it. I’ve tested this feature and it DOES work. A number of my programs were listed as incompatible with the UPGRADE but would work upon un-installing them and re-installing them afterward including: Pinnacle Studio 12, ATI CATALYST Control Center, and iTunes. 2. The biggest issue for me came when I got to 21% at the Expanding Windows Files section. I’ve done enough installations to know when something is working right and it appeared to me that the the Windows 7 installation was STUCK at 21%. I’ve also done enough UPGRADES to realize that if you let the computer “do its thing” and give it enough time -it may still work. After about 30 minutes into the 21%, I began to be concerned that the computer, indeed, had frozen -the only hope was that the mouse still “moved” and the hard drive light was still blinking… so, I looked online to see if anyone else was having the same problem. Sure enough, I found many people having the same issue(s) that I was. THE FIX: THE “INTERNET WISDOM” GATHERED INDICATES TO WAIT THIS ISSUE OUT! MY SYSTEM FINALLY MOVED ON TO 22% AT ALMOST EXACTLY ONE HOUR FROM THE “STICKING POINT”! WAITING WORKED FOR ME. -Hopefully, it will work for you too…. I know it’s easy to get “antsy” and want to push the re-boot button but, wait a long while before you consider doing so. It seems as though people have been reporting this issue since the BETA stage (and the same-percentage-error-place on some VISTA installations) and apparently all the kinks have not been worked out yet. Things like this become “deal breakers”, so I hope that some of you will find this and it helps you get through the process! More on this issue here and here. Sony PC:4096MB (3.25 GB available because of 32 bit limitations), 2.8 GHz Pentium 4 HT technology Intel CPU, 200 GB SATA HD, ATI RADEON 1050 with Dual Monitors, Netgear Wireless card (WG111 v3), and a working copy of Windows Vista Home Premium Installed prior to the installation. I really feel that since the advent of Windows Vista, regardless of what is stated or written in reccomendations, Windows users need to “MAX OUT” their memory to have a smooth experience (at least 4GB of memory modules). The total time of my Windows 7 Upgrade, sans the first attempt, was 4 hours and 58 minutes! From looking online, it seems like the average Windows 7 Upgrade takes between 3-4 hours -mine was an hour longer. Be prepared for a long install! 0:10 – This time I “choose” NEXT! 2:06 Windows States it is now “Expanding Windows Files (2224 MB) and at 21% (Note this is the spot where it seems to get stuck (see above) AFTER the reboot). 0:12- “32%” shows up on the screen and “328 of 1208567” transferred (This goal number is the summation of the two large numbers “gathered” above). 1:06- 58% (788533 if 1208567) Note: it appears to freeze here as well! Postlogue: I have had very little trouble with any of my programs and the transition actually was pretty smooth (minus the freeze scares). All of the hardware on this machine did end up working with Windows 7. There are many new features of Windows 7 that I am enjoying and plan to write about in my next post. 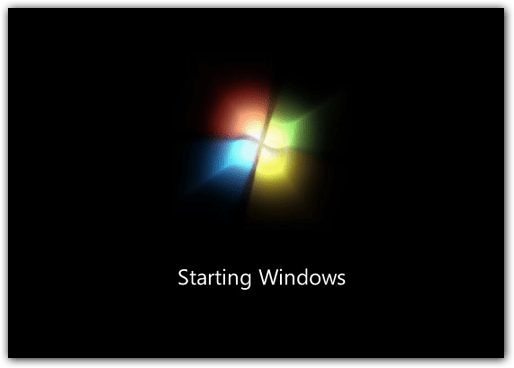 Please feel free to comment about your Windows 7 installation experiences in the comment section below. Also, if this “Play by Play” was helpful to you in any way -please let us know about that as well!